The PowerShot G1 X Mark III is Canon’s latest flagship compact camera and its first to boast an APS-C sensor—essentially, the same 24-megapixel sensor used so successfully in models like the EOS 80D DSLR, and which features Dual Pixel CMOS AF for smooth and confident focusing in stills and movies. It couples this with a 3x 15-45mm F/2.8-5.6 zoom (24-72mm equivalent); that’s a tad wider than the ubiquitous EF-S 18-55mm DSLR kit zoom, and a little brighter at the wide end, too, albeit not quite as long as the tele end. It also sports a fully articulated touch-screen, OLED viewfinder, 7 fps with autofocus, 1080/60p video, and WiFi complemented by both NFC and Bluetooth for easier connectivity, all packed into a weatherproof body weighing less than 400g [just under a pound]; it’s even Canon’s first model to finally feature a panorama mode that stitches images in-camera. On the downside, there’s no microphone input, nor 4K video, frustrating for videographers and vloggers who’ll otherwise appreciate its articulated screen and leading movie autofocus. Some may also have preferred a lens that’s more different from a DSLR kit zoom, considering you won’t be swapping it for something else, but there’s still no denying the overall appeal of having the photo, movie and live view AF of the EOS 80D in a small and weatherproof compact. I had the chance to try out the G1 X Mark III at a Canon event and have put together a video of the highlights below. 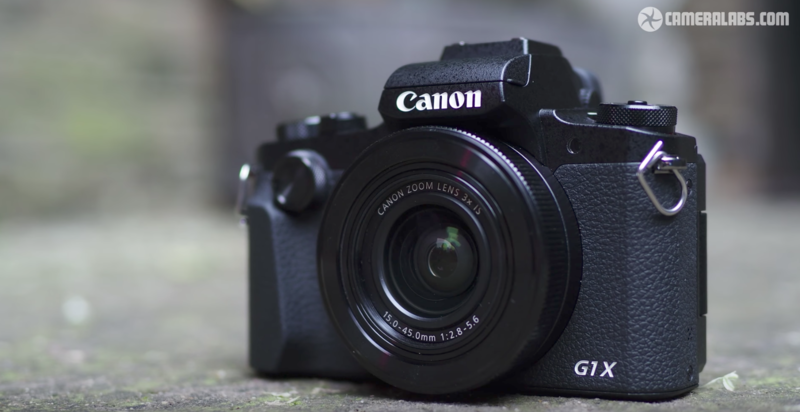 For a more detailed report and results, check out my Canon G1 X Mark III review. Gordon Laing is the Editor of cameralabs.com and author of In Camera: Perfect Pictures Straight out of the Camera, a book that embraces the art of JPEG photography with no post-processing. A journalist of over 25 years and keen photographer since childhood, he loves food and travel, and shares his personal work @cameralabs on Instagram and Twitter. Check out his in-depth gear reviews at cameralabs.com, on YouTube or in the Cameralabs Photography Podcast at iTunes.